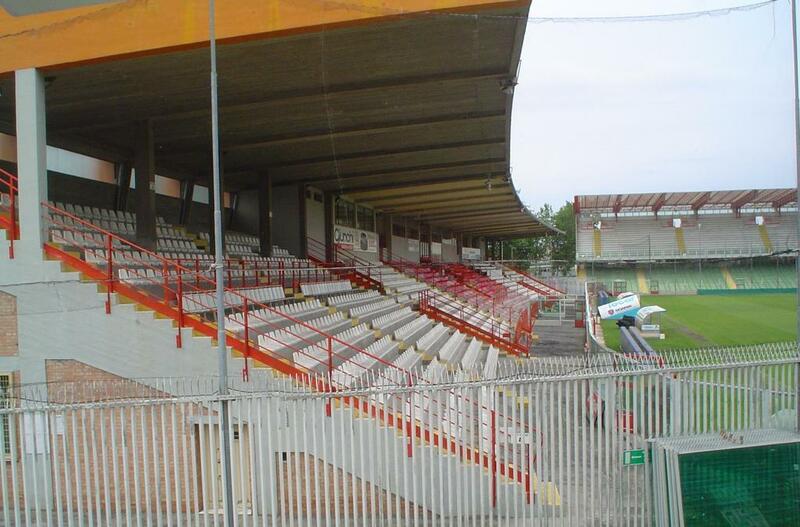 In its initial form it was built in 1957, then only with a grandstand later accompanied by two curves – one for home ultras and one for the away following. 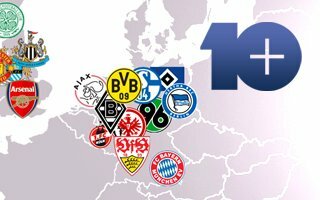 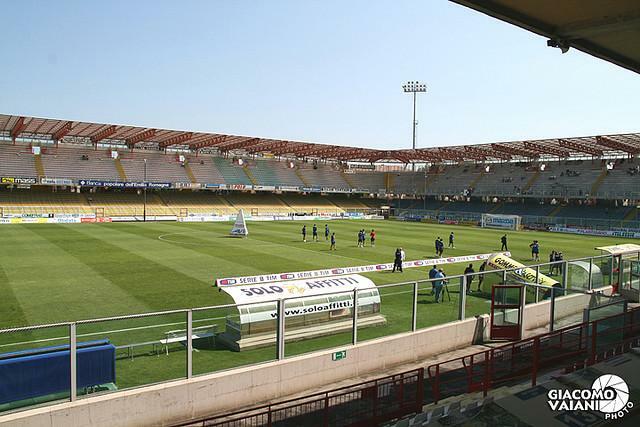 First enlargement came in 1973 along with AC Cesena’s promotion to Serie A. 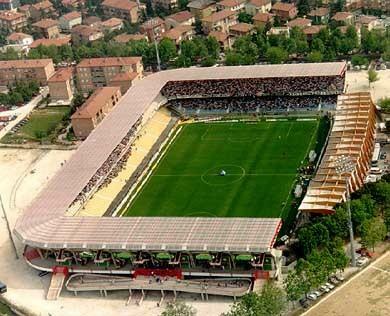 A crowd of some 28,000 could safely attend a match at partly temporary stands, but the record for a home game was far bigger, 35,991. 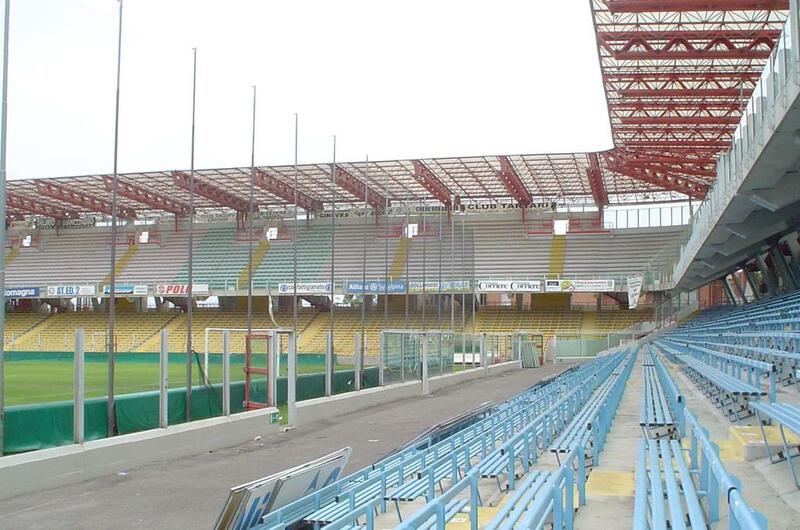 In 1988 most important redevelopment took place – three stands with double tiers and full cover were erected with some sections equipped in seating (benches). 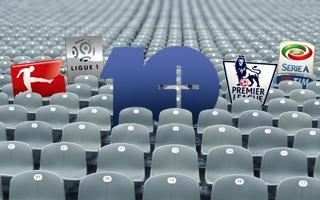 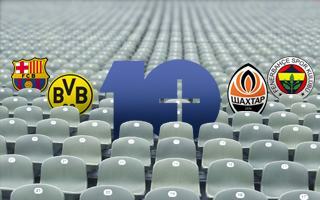 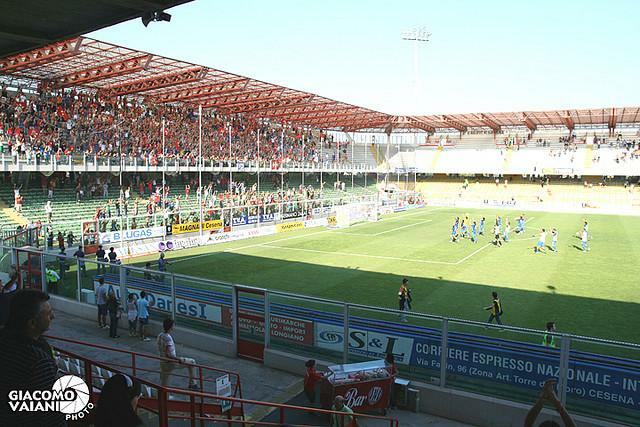 Capacity and proximity to the pitch (only 5m distance – smaller in Italy) gave the ground recognition in Italy. 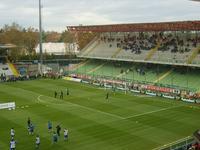 Main stand was only slightly improved and was supposed to be dismantled to complete the 2-tier configuration, but stands to this day, having been further refurbished in 2010. 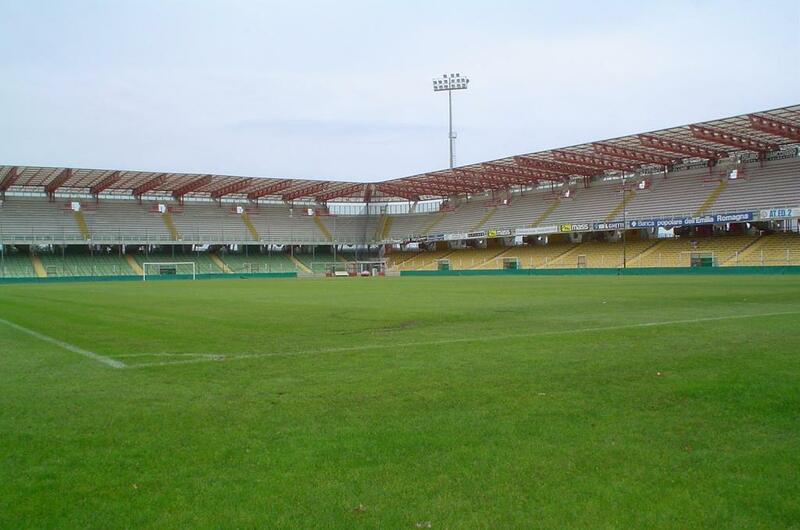 Also in 2011 first artificial pitch in Italy was installed as well as new VIP boxes. Since 1982 the stadium bears Dino Manuzzi’s name, long time president of Cesena who died at that time. 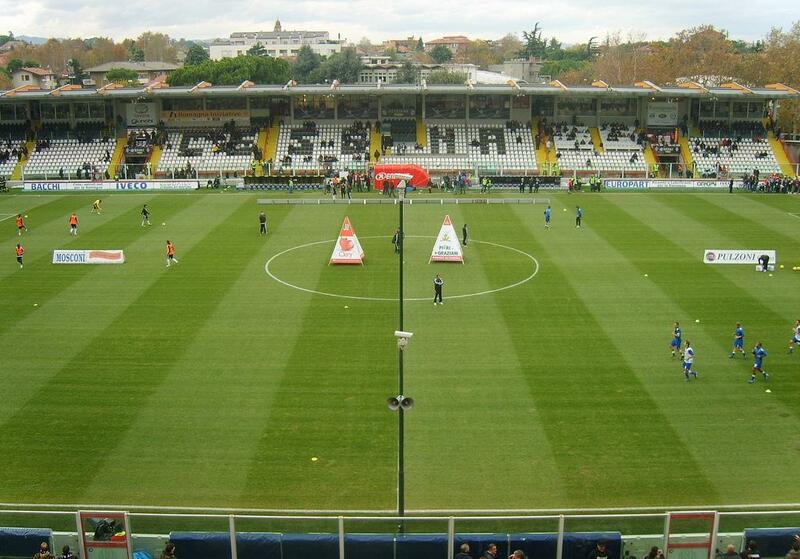 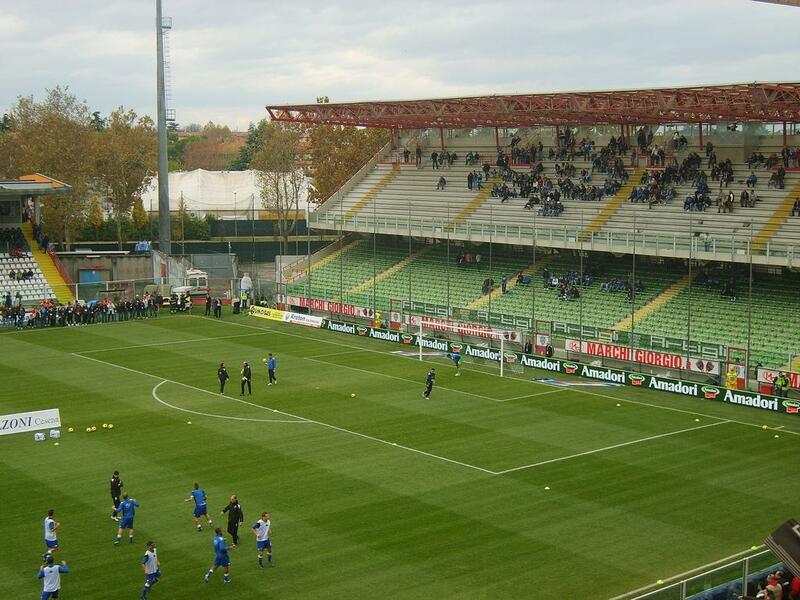 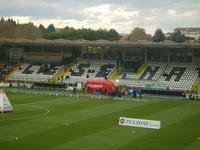 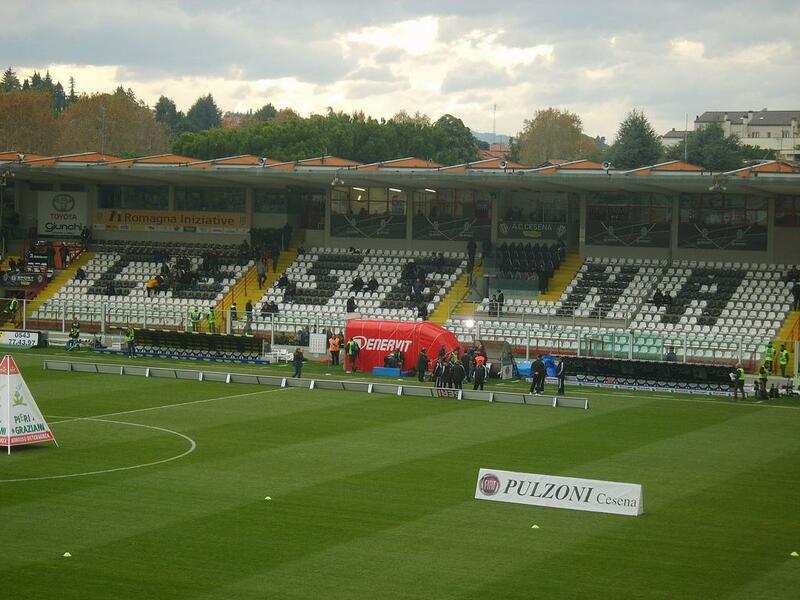 Anchor tenants are AC Cesena, but Italian national team also played here three times, all games friendly. 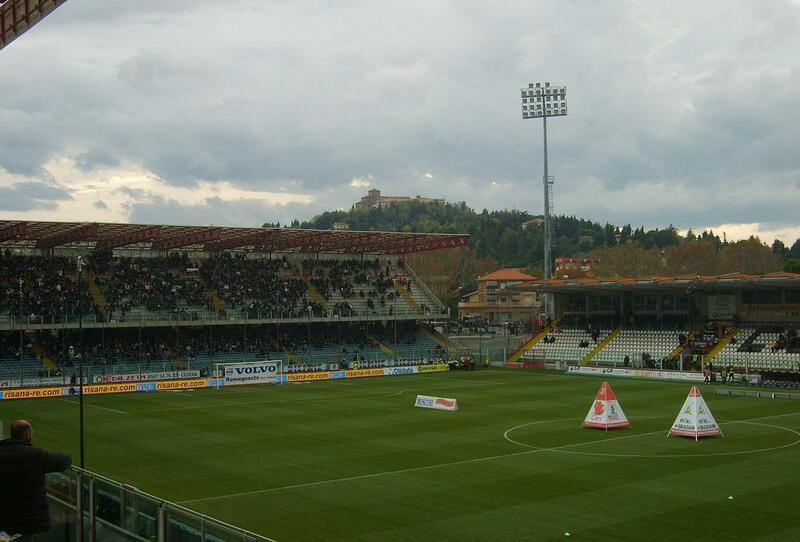 Also, Juventus was host to Intertoto Cup games at Cesena. 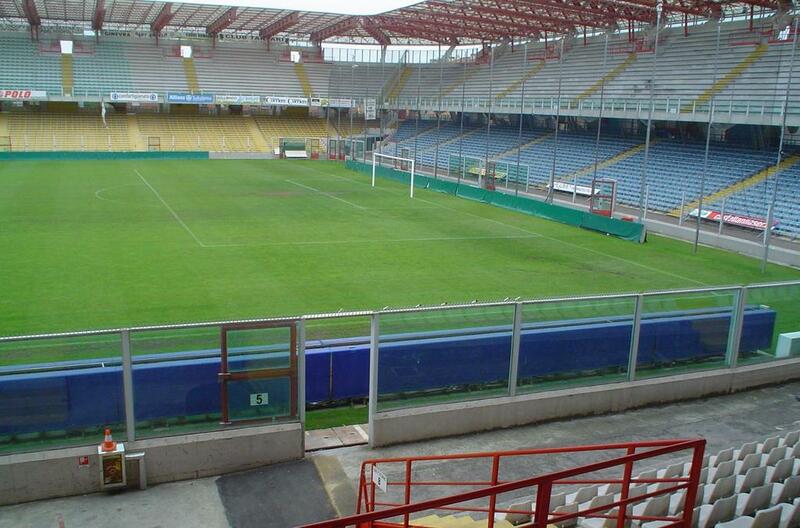 Apart from football the venue is used for rugby.